Core Fill foam has excellent thermal and acoustic properties. It is fire rated as a class A building material for use in filling the core of concrete masonry blocks, cavity walls, and between brick and block. 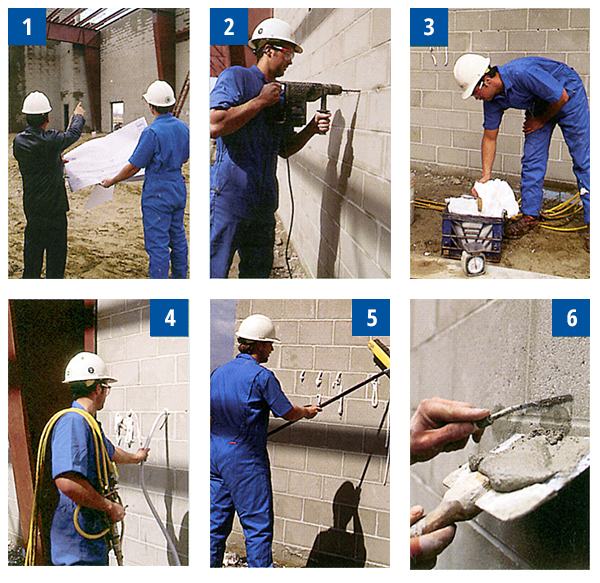 Core Fill is injected through ⅝-⅞ inch holes drilled into the wall. The compressed air injects it into the cavity where it fills the entire empty cell. Core Fill is cost competitive with all other installation methods and has been installed in over 100,000 installations and $100 billion in new construction.